All the little insects and spider's web and bird's eggs are all part of Blackie's world of wonder. These are his discoveries as he goes through his day. 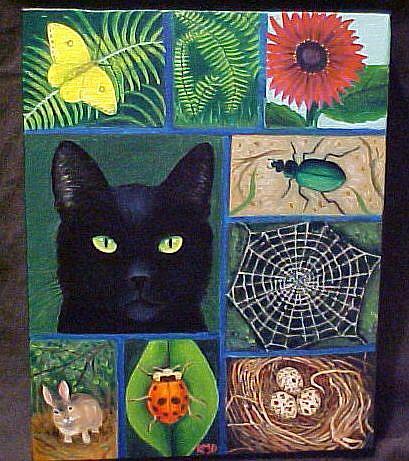 I enjoyed painting a variety in one painting, to attempt to show the intriguing objects cats find in their world.